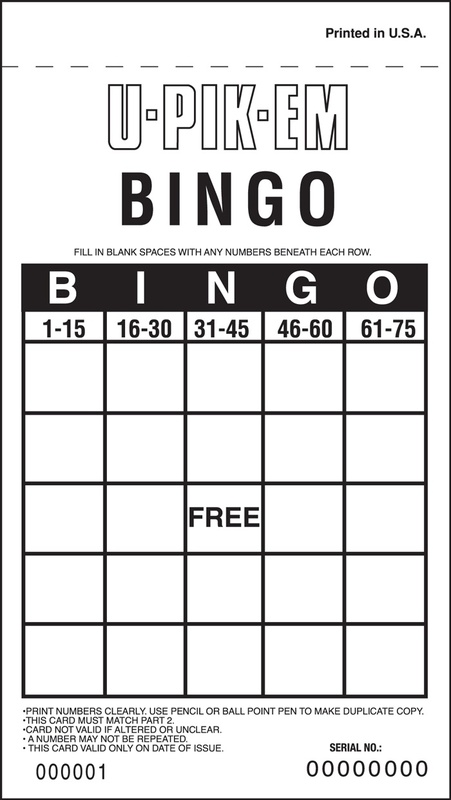 Players get to choose their own luck with these unique bingo games! 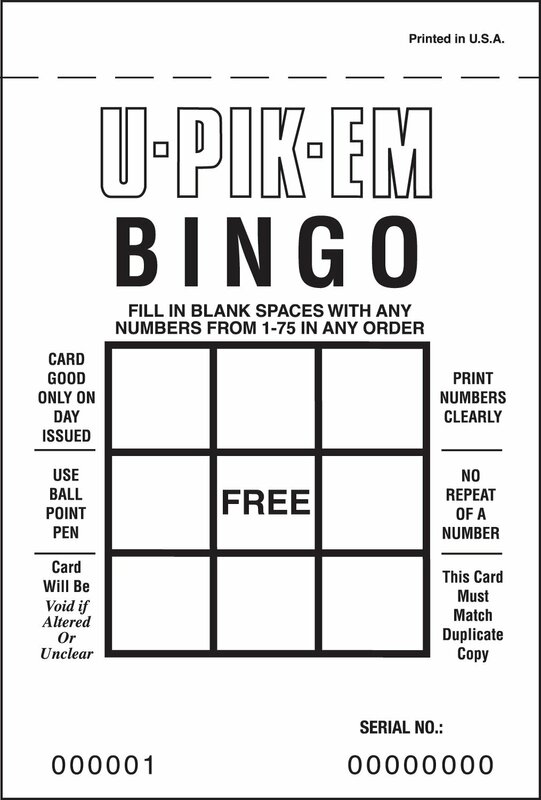 With U-PIK-EM™, players pick their own numbers instead of the random selection of numbers they would get with a pre-printed bingo face. 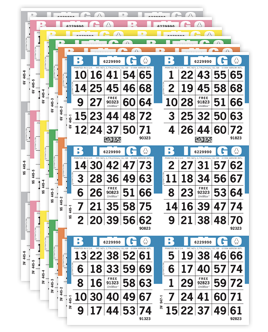 Players often perceive the game as a lottery, picking their same "lucky" numbers each week. U-PIK-EM offers five different varieties to choose from. 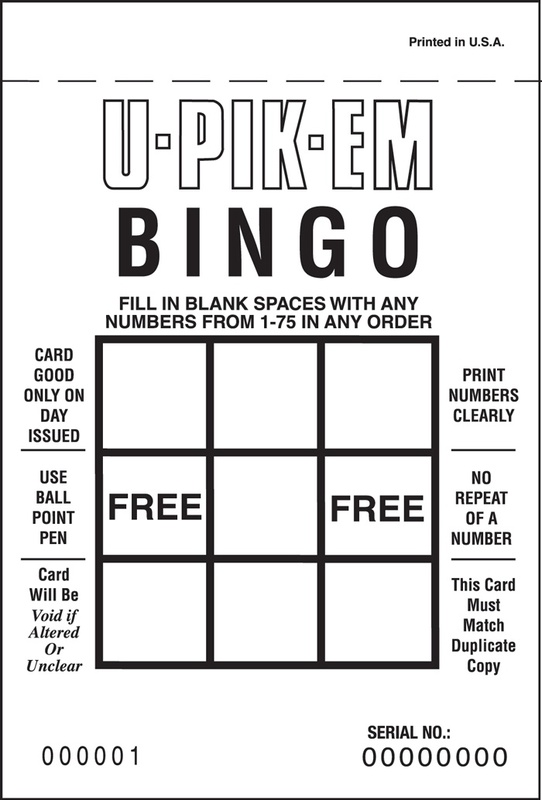 U-PIK-EM cards are two part NCR (no carbon required) forms, each with matching card numbers. 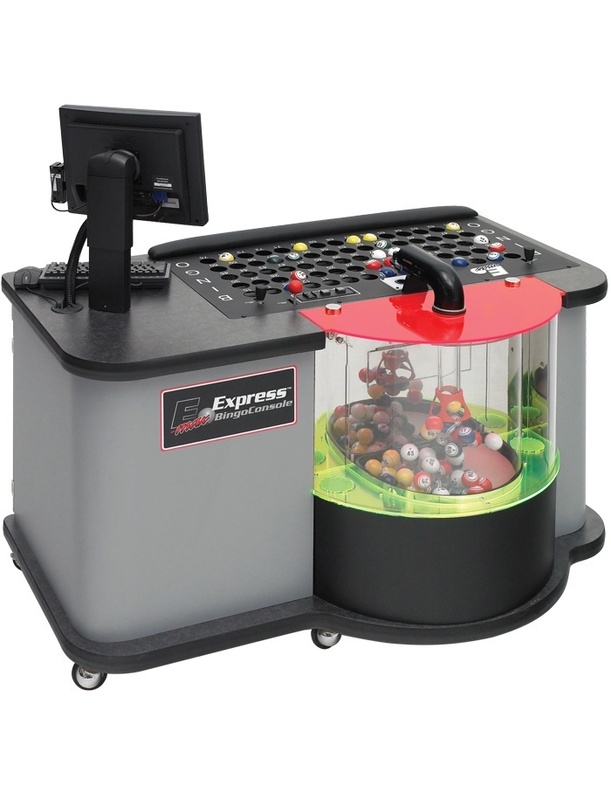 One part is used for playing, while the other part is collected by the attendants before the game begins, and is then used to verify winners!